"Save AMC and OLTL" has more tasks you can do to save those soaps! Soap Cities previously reported how fans, led by Facebook group “Save AMC and OLTL” are working hard to bring “All My Children” (AMC) and “One Life to Live” (OLTL) back to our screens. That tenacious group has posted more info and suggestions about what we can all do to resurrect our beloved shows. 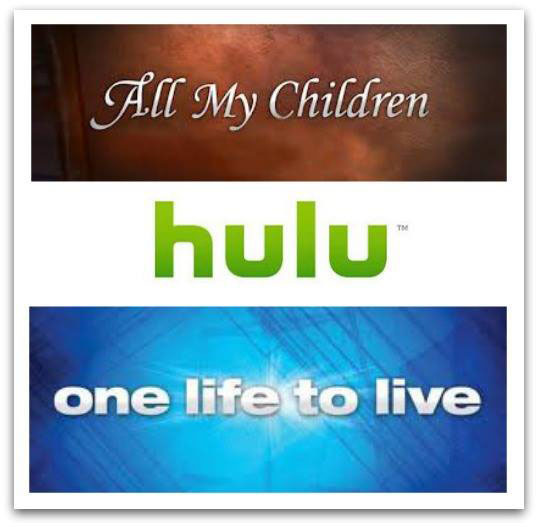 “Save AMC and OLTL” reminded followers that when Prospect Park (PP) picked the canceled ABC soaps, fan support is what led to PP’s partnering with Hulu. Hulu became the the online home of the the online iterations of the shows. Nathan Varni, an ABC programming executive, has said now that ABC has the rights to the soaps back, they are actively looking for another platform like Hulu to partner with. It could even be Hulu itself with enough fan support. “Save AMC and OLTL” also reminded fans and followers that Varni has also said ABC is actively looking for ways to incorporate beloved AMC and OLTL characters on the “General Hospital” story canvas. This would be a step in the right direction in resurrecting AMC and OLTL, it argued. Soap Cities reported on this too. One option for ABC now that it owns AMC and OLTL outright once again would be to air reruns of those shows on some platform as well. The Facebook group points out that this will remind fans how much they miss the shows, if there is any doubt. It will also reinforce to ABC how much fan support for the gangs from Pine Valley and Llanview still exists. The amazing admins at “Save AMC and OLTL” have collected lots of information and tasks for fans to access and perform to get Hulu to once again partner with ABC. They’ve even written Easy Tweets, which you can just click on to let Hulu know how much we all want a robust ABC daytime lineup again. And that’s just one of their latest tasks. To find out all of them, visit their Facebook page. Had been watching AMC and One life to live for 35 years. Miss them soooo much. can/t wait for them to come back! Bring back AMC-still miss it after all these years! I have watched AMC since 1971. I would watch new episodes or the whole soap again. I have another 40 years.